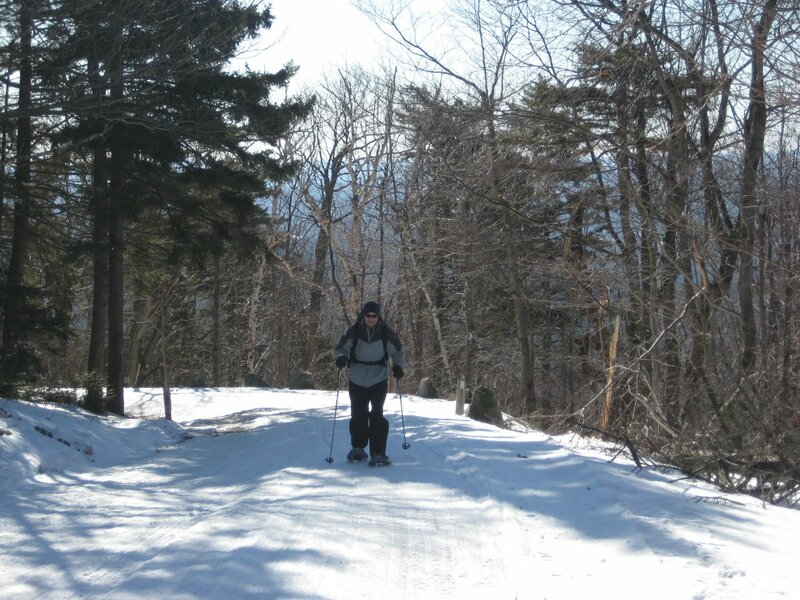 I’d been itching to snowshoe up the Kearsarge toll road for quite a while, and things fell into place for Andy and I to get out there on Sunday morning and give it a go. Temps were in the 20s and the wind was moving pretty good, but the trees along the auto road offered reasonable insulation from the breeze. Even still, it was much colder than I thought it would be and it took me a good mile to get warmed up. Which was about the time I realized that my feet were positively on fire. I guess my snowshoes and boots weren’t agreeing with the grade and the solid condition of the road. I peeled the shoes off and lashed them to my pack for the rest of the trip, and when I got home my suspicions were confirmed – a quarter-sized blister on the back of each heel. Don’t be fooled by the smile; its only for the camera. 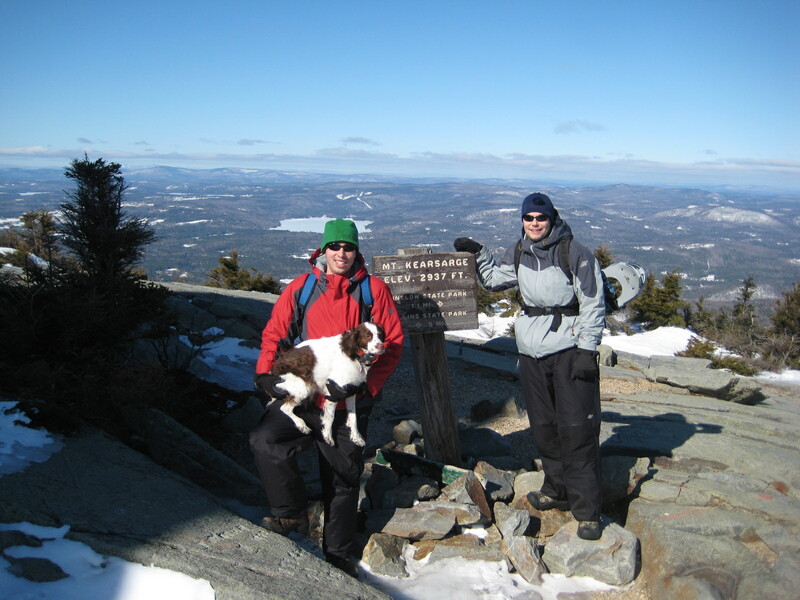 We took the Rollins Trail to the summit, which had some rugged ice in spots. 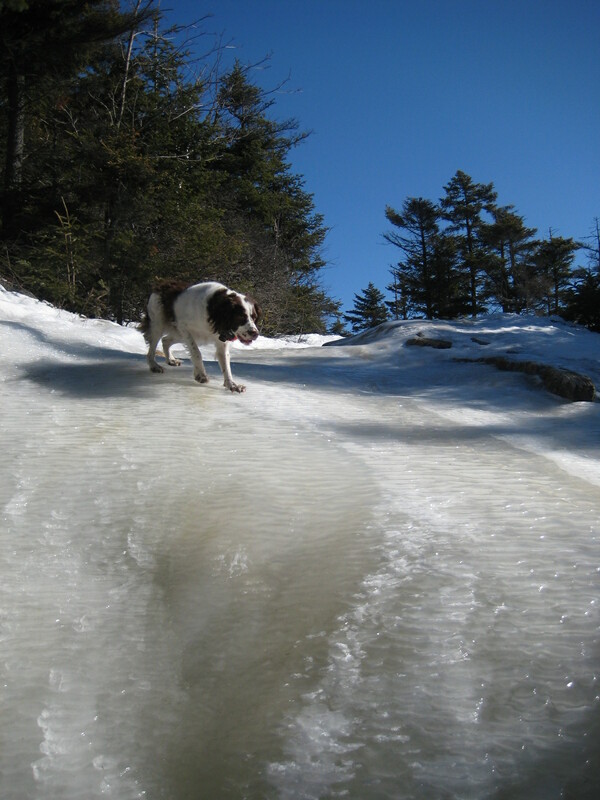 Moxie, not fully understanding the frictionless properties of ice, was a riot to watch.